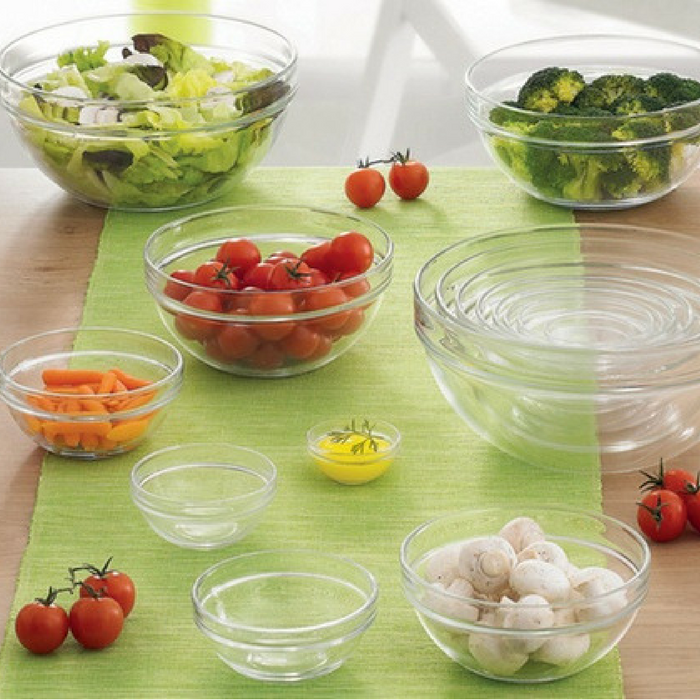 Luminarc 10-Piece Bowl Set Just $15.87! Down From $38! PLUS FREE Shipping! You are here: Home / Great Deals / Amazon Deals / Luminarc 10-Piece Bowl Set Just $15.87! Down From $38! PLUS FREE Shipping! Exclusive for Prime Members only! Amazon is now offering this Luminarc 10-Piece Bowl Set for just $15.87 down from $37.99 PLUS FREE shipping with Amazon Prime! This handy ten piece prep bowl set from Luminarc is great for multiple uses in the kitchen. Made from glass, each round bowl has a raised rim that is easy to grab and hold. Perfect for everything from serving a bowl of chips or popcorn to enjoying a bowl of soup or cereal, these bowls can also be used for pre-measuring ingredients or mixing them together when prepping for meals. The stackable design gives you the option to nest these bowls together for compact and convenient storage. Made in the USA, they are also dishwasher safe to make clean up a breeze.